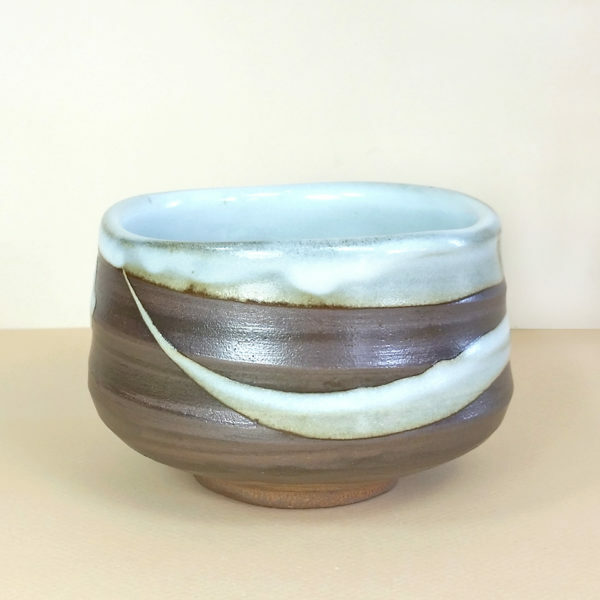 This tea bowl is glazed in a slightly metallic dark brown on the exterior, with a field of soft white glazing on the interior. The white glaze that flows along the grooves on the exterior of the bowl are reminiscent of snow settling in the crevasses of a tree trunk during a winter storm. 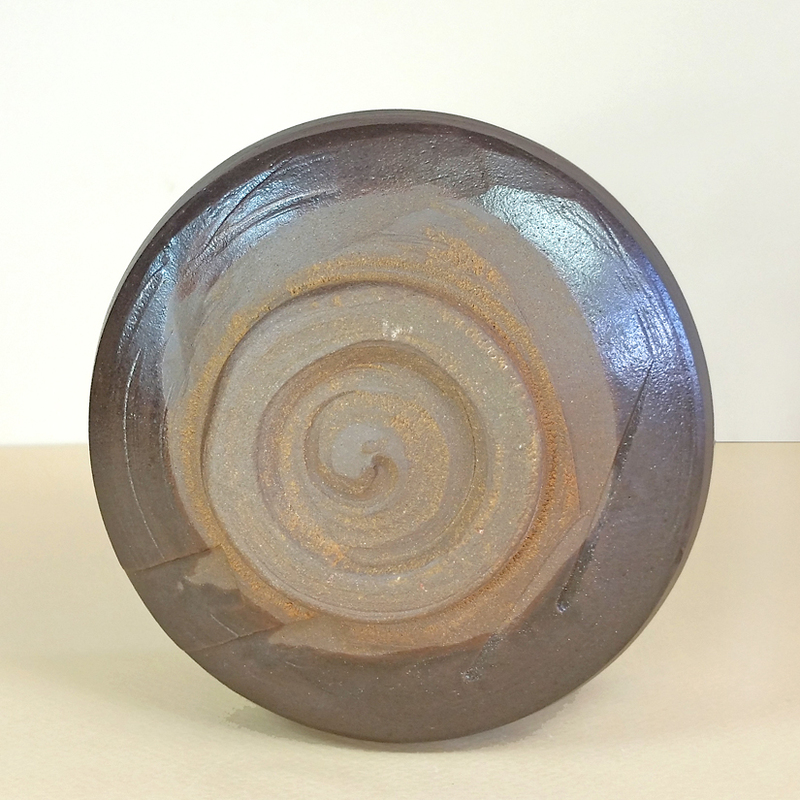 Due to the horizontal flowing movement of the glazing, you must decide which aspect of the bowl is the ‘face’ or whether or not the bowl even has a ‘face’! 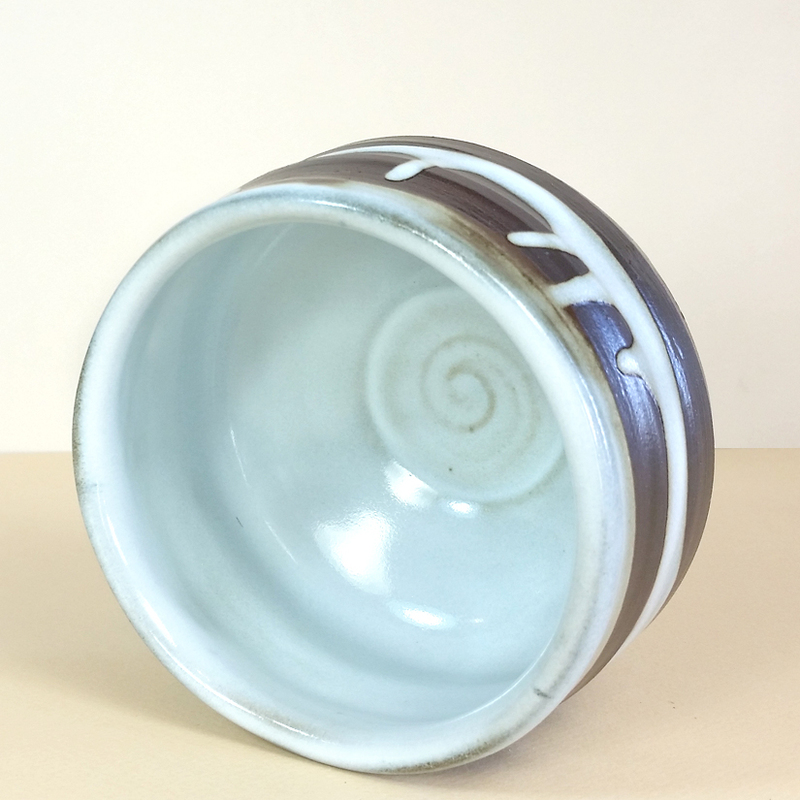 A beautiful chawan to sit with in front of a hearth or in a bay window.